If you’re playing Destiny 2 and wondering why you haven’t got a Sparrow yet, you aren’t doing anything wrong - it’s just takes a lot longer to get a Sparrow in Destiny 2 than it did in the original game. In this Destiny 2 Sparrow Guide we’ll detail the ways you can get your hands on the nippy hover bikes. Read on for how to get a Sparrow in Destiny 2. There are some spoilers linked to endgame Destiny 2 campaign content, so you’ve been warned. For more help that isn't related to getting a Sparrow in Destiny 2, head over to our Destiny 2 guide hub. Over there you’ll find loads of info, including a guide to exotic weapons and armor. If you’re new to the world of Destiny and didn’t play the original game, you might be wondering what a Sparrow is. 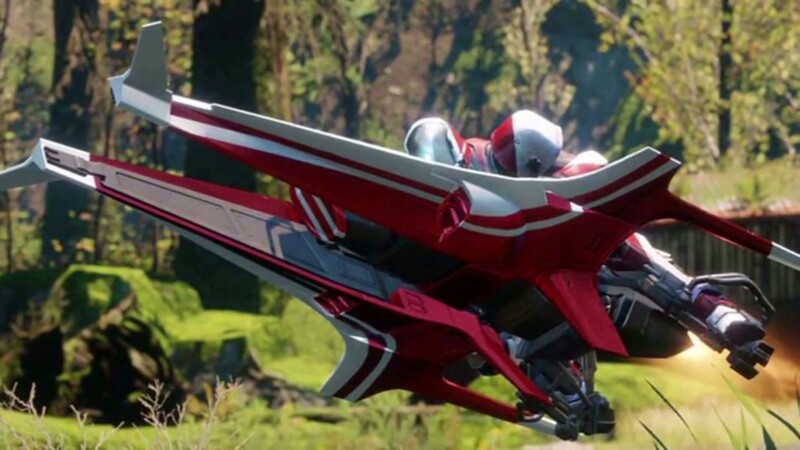 Sparrows are cool hover bikes that allow your guardian to whiz about an area at a much greater speed than on foot. A sparrow is also a bird. We are unsure if there are sparrows (birds) in Destiny 2 and this guide won’t help you unlock them. Unless someone discovers another way, there are two routes to getting your hands on a Sparrow in Destiny 2. One is to complete the Destiny 2 story campaign and the other is to reach level 20. The process isn’t quite as simple as it sounds, so we’ve detailed the steps for you below. Head to the rebuilt Tower and speak with Amanda Holliday in the Hangar. Holliday will let you choose one of three basic Sparrows - at no cost. If you want a better Sparrow, Everis (on The Farm) will give you a free Bright Engram box once you’ve completed the Destiny 2 campaign. This box might contain a Legendary or Exotic Sparrow. Complete the Homecoming mission in Destiny 2 and the After the Attack sequence. This will unlock The Farm. Complete the Spark Mission (the first story mission after you arrive on The Farm) to unlock the Eververse shop (run by Tess Everis). Eververse sells Bright Engrams, but only to guardians at level 20. Grind until you reach level 20. That’s how you can get a Sparrow in Destiny 2. We’d opt to go down the completing the campaign route, as it’s less of a grind.